Avail from us, our wide range of Digambar Idols along with Temple Idols, Buddha Idols, that is made using high quality marbles. With smooth finish and extra shine, these idols are offered in various sizes. 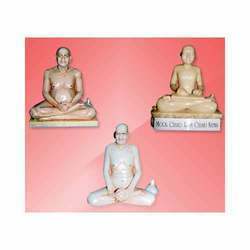 Our Digamber Idols are offered in various colors and postures. Calm and reflecting a glaze, our Devotional Digamber Idols are a true depiction of our artists creativity. 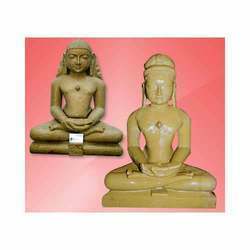 We bring for our clients a wide collection of Digamber Idols in various sizes. 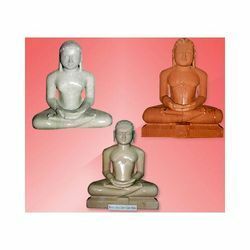 Offered in sitting and meditating position, these idols come in different colors. Our collection of Black Stone Digambar Idols are carved from high quality marbles. These black stone Digambar Idols are sure to arouse sensation in the industry owing to their smooth shine and fine polishing. 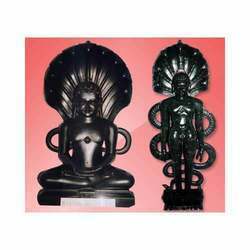 These black stone Digamber Idols come in both sitting and standing figures. We bring for our clients a wide collection of Marble Digambar Idols. These marble idols are made using high quality marbles and come in different sizes. The marble Digambar Idols are worshiped by Jain community across the globe. Made using high quality marbles, these Religious Digamber Idols are available in various sizes to befit the varied choices of individuals. These idols are smooth in finish and different colors. These religious Digamber Idols come in a wide variety with or without platforms.